For the 2018 FIFA World Cup Russia, Shiraz Creative was selected by Visa to manage the activation of thousands of consumers, clients and partners from 101 different countries. 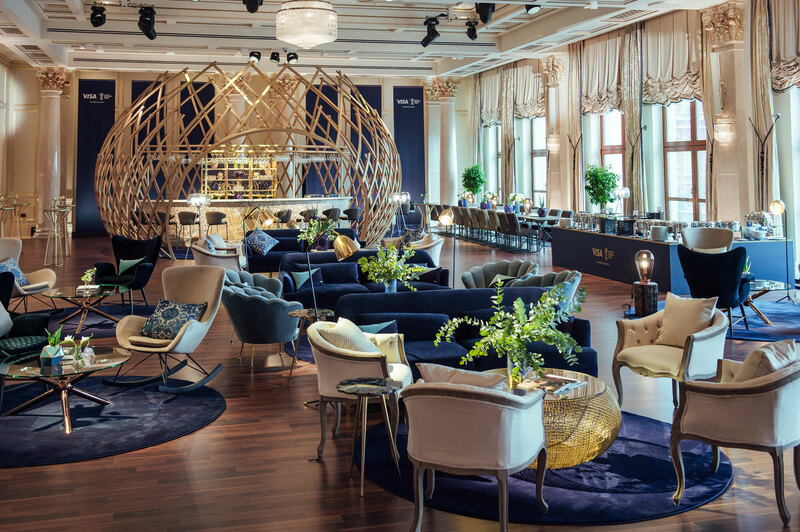 The multi-week activation included two Visa Everywhere Lounges located in Moscow and St. Petersburg, as well as a VIP hospitality program during the FIFA World Cup Finals for Visa's top clients and partners. Visa is the Official Payment Services partner of FIFA. As a FIFA partner for over 10 years, Visa committed to enhancing the experience for fans across the globe during the 2018 FIFA World Cup Russia. To support this commitment, Shiraz deployed innovative hospitality and technology solutions through meticulously curated experiences across three venues. For the duration of the World Cup tournament, Shiraz activated the Shooting for the Stars AR experience alongside its Visa Everywhere Lounge in Moscow. The activation brought to life Visa’s global marketing campaign that centered on helping fans defeat their FIFA World Cup FOMO (Fear Of Missing Out). Shooting for the Stars was an immersive augmented reality digital football game utilizing HoloLens AR technology with an interactive LED wall/screen. The experience enabled guests to go through a 3D scanning process to create their own avatar. Each guest's 3D avatar was then integrated into the Shooting for the Stars virtual game to personalize each guest's gaming experience. Shiraz partnered with Zlatan Ibrahimović as the face of Visa's global marketing campaign – incorporating Zlatan virtually into the Shooting for the Stars activation, while also featuring the global football star throughout the Visa Everywhere Lounge.